Connie thinks she's never met anyone quite like Luke Beith before. She has no idea how right she is. As a high-ranking mathematician in a male-dominated field - with bright red hair - Connie's used to being considered a little unusual. But she's nowhere near as peculiar as Luke, who is recruited to work alongside her on a top-secret code breaking project. Just what is this bizarre sequence they're studying? It isn't a solution to the global energy crisis. It isn't a new wavelength to sell microwave ovens. The numbers are trying to tell them something . . . and it seems only Luke knows what. 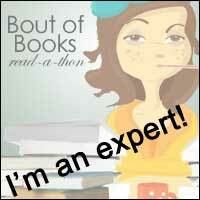 Review: This book was completely different from everything I expected. 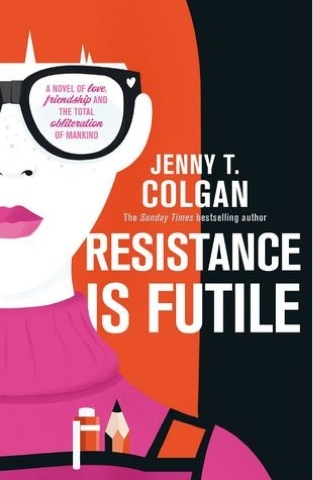 I am a massive Jenny Colgan fan and so of course I was going to pick this book up. I knew it would be a kind of crossover between her rom com stuff and her sci fi stuff but I wasn't expecting the combination to be quite this stark. If you like Jenny Colgan's rom com stuff, this has it in, if you like a bit of sci fi, this is also included in this book. Rather than being a mixture of both, this book just has both aspects to it! This book was interesting but wasn't really my cup of tea because it was just too much sci fi for my liking so if you're not ready to suspend your disbelief, then you won't enjoy this book, but if you fancy something that covers both aspects, I am sure you will have a great time with this novel! I really liked the characters in this novel, there were a lot of them but they were all so well-developed, it was easy to tell one scientist from another. I listened to the audiobook version of this and so it should've been easier to determine by their accents but unfortunately the accents were pretty bad so it was a little trickier, thankfully I has this novel on kindle too! As I say, this book wasn't really for me but I did like the characters, the settings and I thought the idea behind it was a good one, just a little too far fetched for me to suspend my knowledge of real life! I really liked the fact that this book deals with scientists and features a girl who is good at maths, not something that is usually covered-great stuff. I you're a Jenny Cold fan and like a little sci fi with your romance then you will love this book.